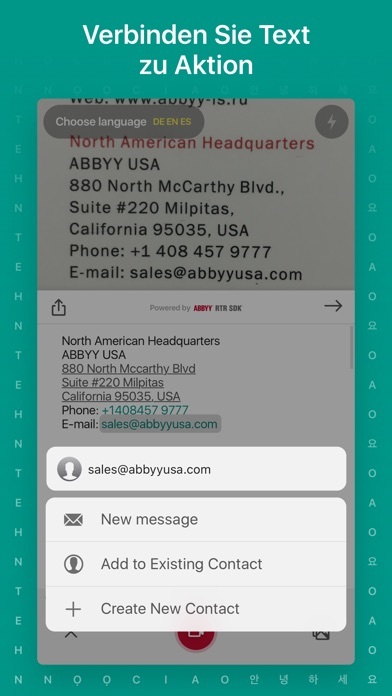 ABBYY TextGrabber easily and quickly digitizes fragments of printed text, reads QR codes and turns the recognized result into actions: call, write, translate into 100+ languages online and into 10 languages offline, search in the Internet or on maps, create events on the calendar, edit, voice and share in any convenient way. When you point a camera at printed text, TextGrabber instantly captures information and recognizes it without connecting to the Internet. 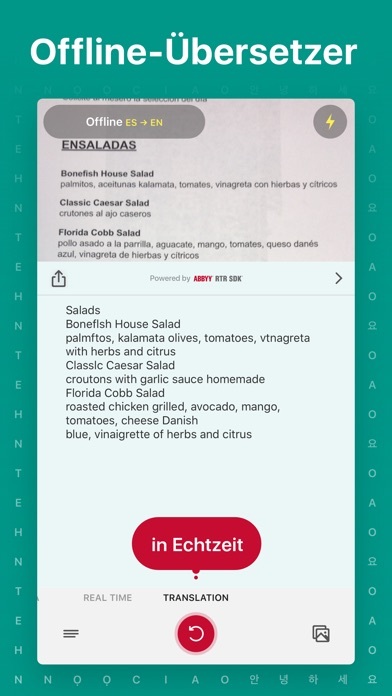 A unique real-time recognition mode extracts information in 60+ languages not only from documents but from any surfaces. • Real-Time Translation directly on the camera screen without taking photos into 100+ languages online (full-text translation) and 10 languages offline (word-by-word translation). 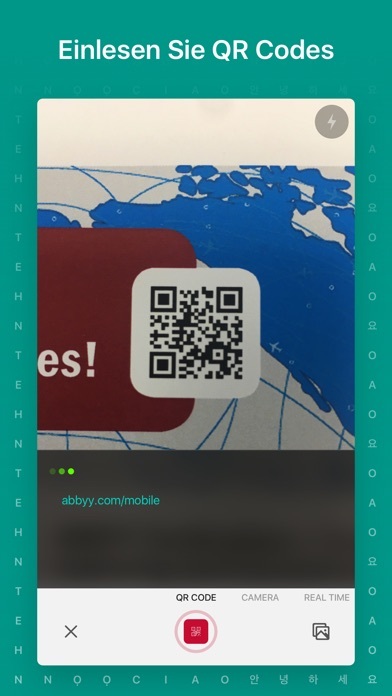 • Innovative Real-Time Recognition mode based on ABBYY RTR SDK technology will digitize printed text directly on the camera screen without taking photographs. 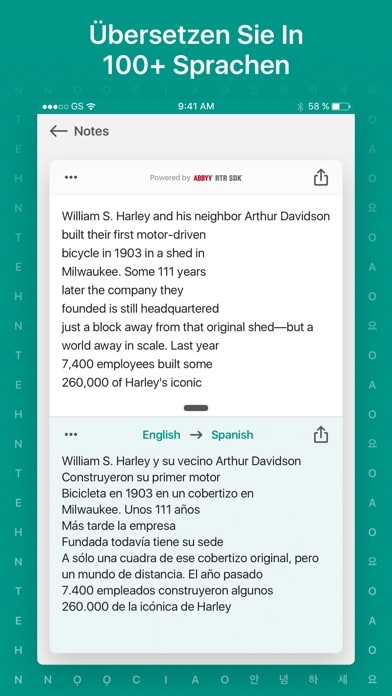 • Text recognition in 60+ languages, including Russian, English, German, Spanish, Greek, Turkish, Chinese and Korean, without an Internet connection. • All links, phone numbers, e-mail addresses, postal addresses and dates after digitization become clickable: you can click on the link, phone, write email, find the address on the maps or add an event to the calendar. • Siri shortcuts. To recognize last photo with Siri create Siri Shortcut in iPhone settings. 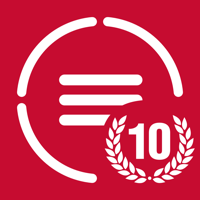 • Powerful text-to-speech capability with the VoiceOver system feature. • Adjustable font sizes and audio prompts to assist visually impaired people: you can increase the font size and use sound prompts to interface elements. • Share the results to any app installed on the device via the system menu. The free version is ad-supported and provides 3 text recognition and translation. Premium Account auto-renewable subscription allows to use all functions of this app. Subscription length periods: 1 month and 1 year. The subscription is automatically renewed at the end of the period unless you choose to cancel the subscription at least 24-hours before the end of the current period. Payment will be charged to your iTunes Account at confirmation of purchase. You can manage your subscription and switch off the auto-renewal by accessing your Account Settings after purchase. Any unused portion of a free trial period, if offered, will be forfeited if you purchase a subscription to that publication. 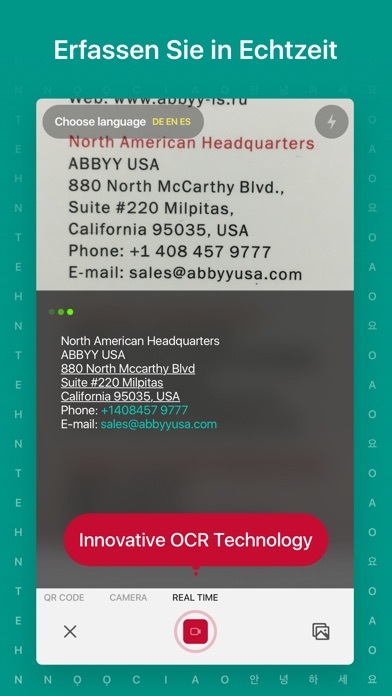 ABBYY TEXTGRABBER IS THE FASTEST WAY TO DIGITIZE, TRANSLATE AND ACTION ANY PRINTED INFORMATION! 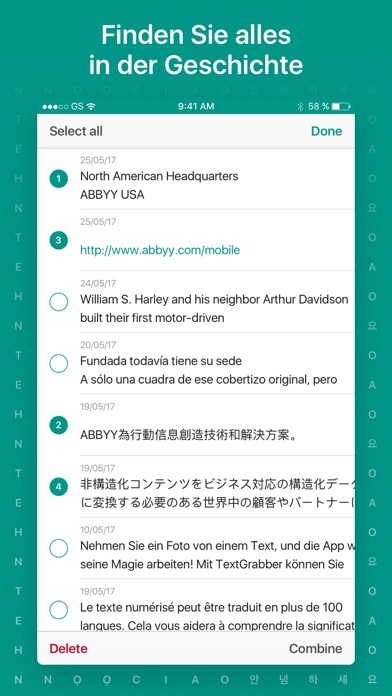 Please leave a review if you like ABBYY TextGrabber. Thank you!